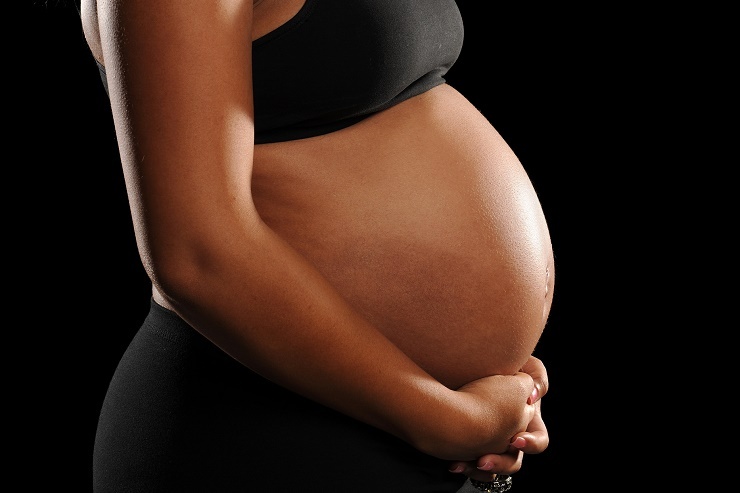 In an alleged facebook post by Michael Ose George-Ukhuegbe, he shared a shocking story of a mother who confessed to being responsible for placing a curse on her daughter’s womb. He wrote, the Nigerian mother had to confess before making a pilgrimage trip to Isreal or she will die because her church pastor prophesied. So the Nigerian mother had to quickly call her daughter to confess her evil deeds. 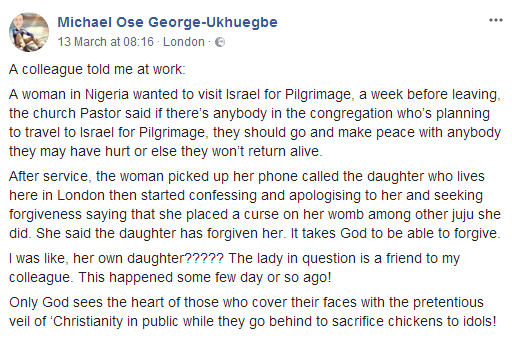 A woman in Nigeria wanted to visit Israel for Pilgrimage, a week before leaving, the church Pastor said if there’s anybody in the congregation who’s planning to travel to Israel for Pilgrimage, they should go and make peace with anybody they may have hurt or else they won’t return alive. After service, the woman picked up her phone called the daughter who lives here in London then started confessing and apologising to her and seeking forgiveness saying that she placed a curse on her womb among other juju she did. She said the daughter has forgiven her. It takes God to be able to forgive. I was like, her own daughter????? The lady in question is a friend to my colleague. This happened some few day or so ago!